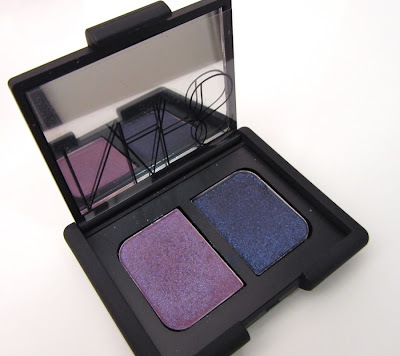 Freshly released for this summer, NARS Duo Eyeshadow in Marie-Galante is a stunning duo of a medium pink-toned lilac and a mysterious smoky blue-based purple. 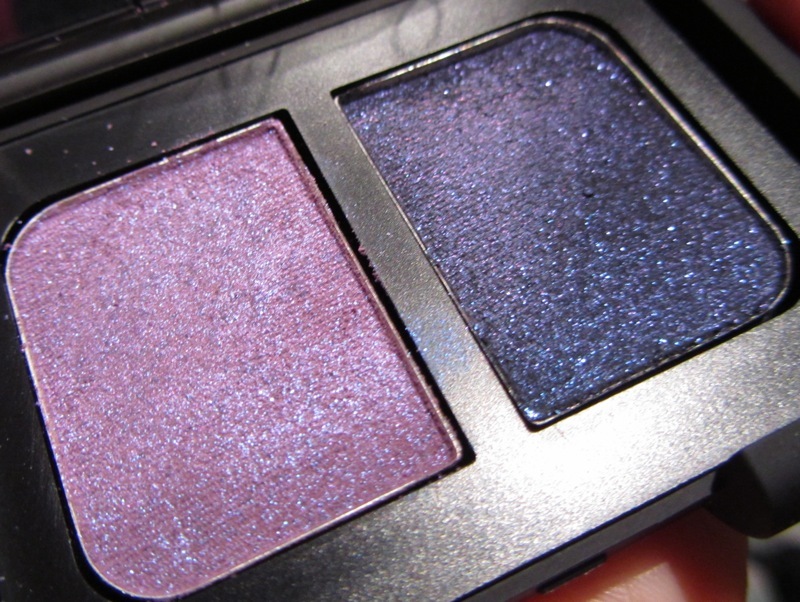 Both shades are shot through with a mesmerizing microfine lavender shimmer that lifts them above the usual gamut of purple eyeshadows. 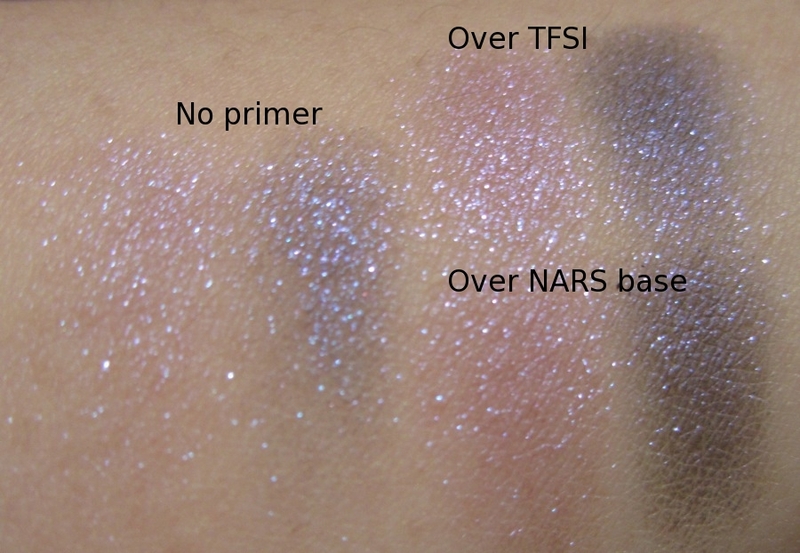 It was Cafe Makeup's review of Marie-Galante that convinced me that this was worth the hefty £24 price tag despite the black rubber packaging which tends to get horrendously sticky in hot and humid weather. Made in Canada, the duo holds 4g of product. 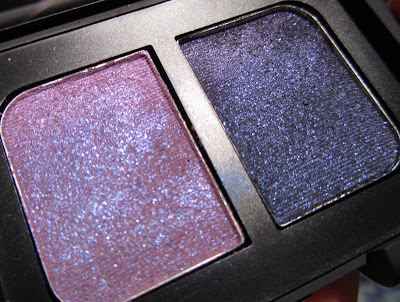 To be honest, the texture is not the best as it feels slightly dry, unlike the rich velvety feel of Urban Decay's eyeshadows. 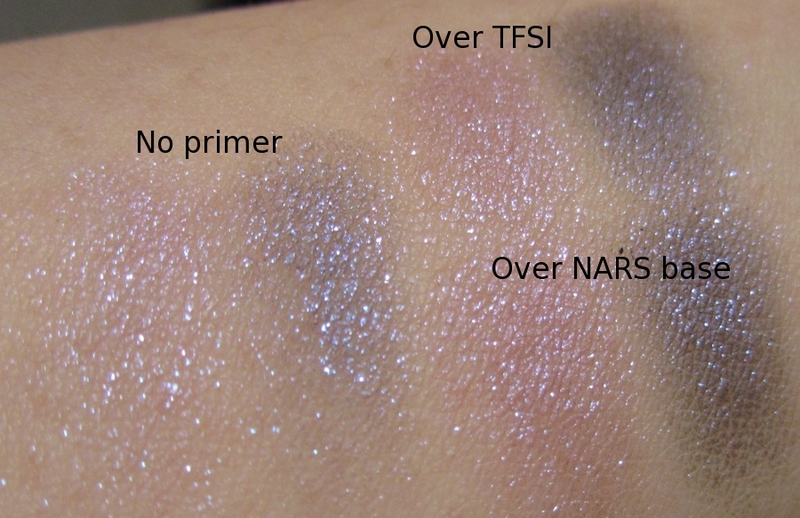 Both shades are also sheer and require several layers to show up well even when applied over Too Faced Shadow Insurance or NARS Smudge Proof Eyeshadow Base. I haven't tried applying these wet or with a sponge applicator but those methods could help to achieve a more intense finish. 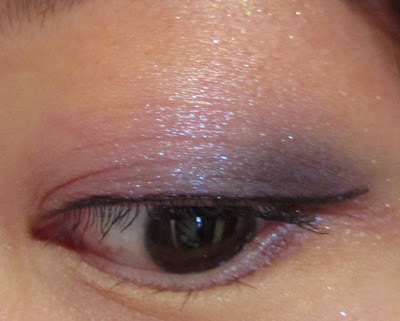 There was also some fading over the eight hours that I wore these for, but no fallout on the cheeks and under-eye area. 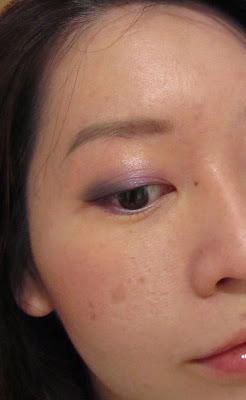 In spite of the flaws, I like the fairy-like dance of lavender shimmer that catches the light beautifully. The combination is subtle enough for the office and versatile enough to wear for all seasons, not just summer. You can read more reviews of Marie-Galante on Makeup & Beauty Blog and Blushing Noir. I was considering this when it was first released but couldn't decide if I wanted to take a plunge on something that might not work out for me. I think the dry texture has finally put my lemmings to rest. It does take some effort to make this duo work, and for the high price tag, I think you really shouldn't have to do that. this duo looks gorgeous on your eyelids! it looks perfect for every day use for you! Yes, I saw the Ramatuelle trio but it didn't appeal to me as it's too bland and doesn't show up that well on my skintone. 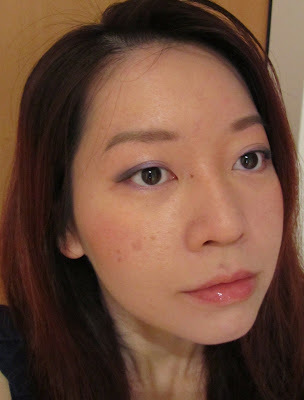 I prefer more vibrant shades rather than shades that blend too much into my skintone.